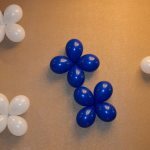 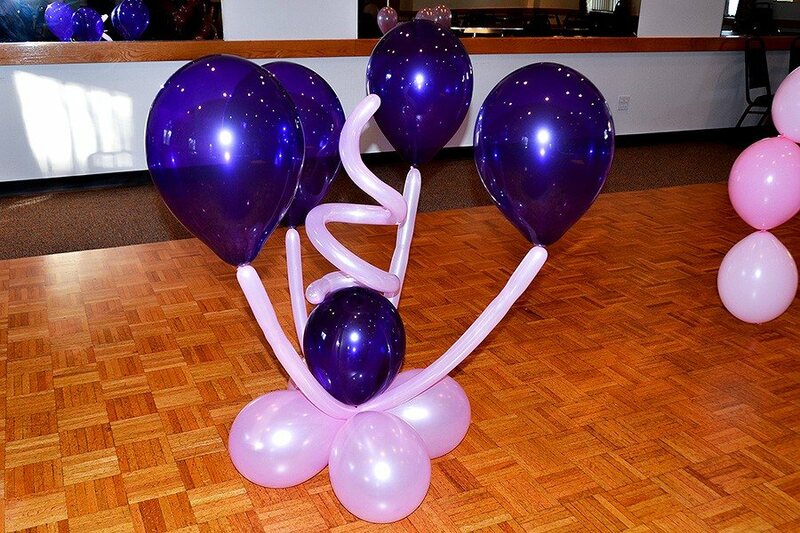 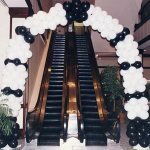 A nice floor balloon centerpiece. 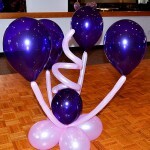 Little creations like that can be used around the stage, along the runway for a small fashion show or alley at the door. 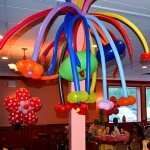 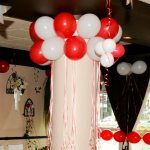 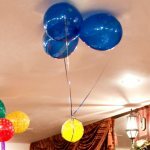 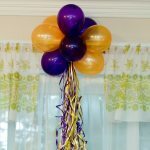 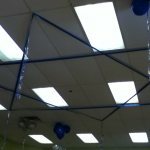 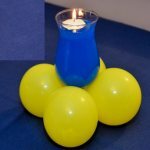 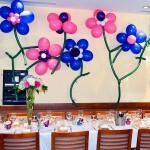 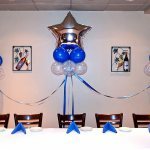 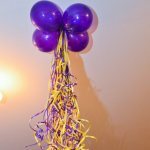 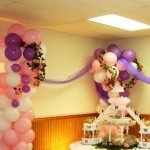 Simple and inexpensive way to enhance colors of the party and add movement and energy.